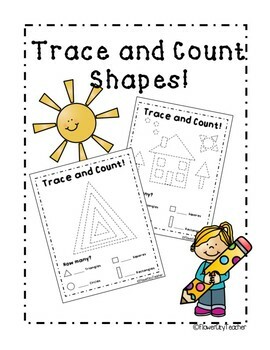 Keep your kiddos familiar with basic shapes while working on fine motor and pre-writing skills! 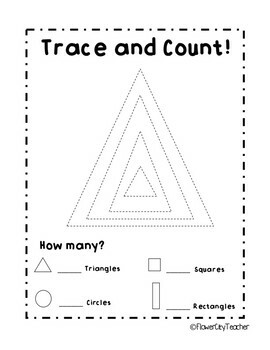 This resource is made for students to identify basic shapes, trace shapes and count/write the total amount. This resource is great to use with your pre-kinders or kindergarteners. 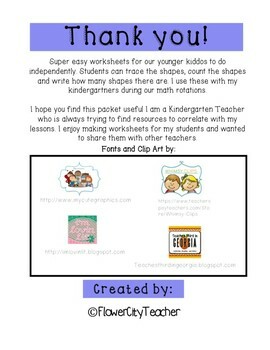 I use these worksheets for independent and small group instruction during our math rotations. 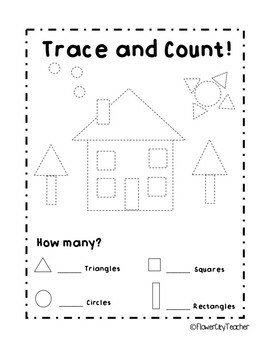 The kids love searching for shapes, tracing and counting how many.